Dell has announced a slew of updates to its professional PC lineup. It has unveiled new versions of the Dell Latitude, OptiPlex, Dell Precision, and P-Series workstations. Dell says its updated commercial lineup features advances in smart design, productivity, and sustainability apart from being the “world’s most secure and manageable commercial PCs”. The Dell Precision 7730 and Precision 7530 mobile workstations are powered by the latest 8th Gen Intel Coreand Xeon processors, AMD Radeon WX and Nvidia Quadro professional graphics, 3200MHz SuperSpeed memory, and the “largest memory capacity for a mobile workstation” up to 128GB. Dell claims that the Precision 7530 is the industry’s first 15-inch ‘Ready for VR’ mobile workstation. The Precision 7530 is equipped with the “largest PCIe SSD storage capacity” available for a 15-inch mobile workstation – up to 6TB. With the Precision 7730, Dell promises new use cases like AI and machine learning development and edge inference systems. Coming to the Precision 5530 2-in-1, Dell says it is the “world’s smallest 15-inch 2-in-1 mobile workstation”. It comes with a 360-degree hinge that enables multiple modes of interaction, including support for touch and stylus. It features the next-gen InfinityEdge 4K Ultra HD display. It comes with up to Intel’s Core i7-8706G with Radeon Pro WX Vega M GL graphics, up to 32GB of RAM, and up to 2TB of SSD storage. Meanwhile, the Dell Premium Pen promises to provide a pressure sensitivity of 4096, tilt functionality, and low latency. It also has the new MagLev Keyboard design, which makes the device thinner. Further, it features Ultra-thin Gore Thermal Insulation to keep the system cool. Meanwhile, the Dell Precision 5530 is Dell’s smallest 15-inch mobile workstation. It sports the InfinityEdge 4K Ultra HD display with new IGZO 4 display options and weighs just 3.9 pounds. The mobile workstation comes with 8th Gen Intel Core and next-generation Xeon processors, Nvidia Quadro P2000 for graphics and 2666MHz memory speeds up to 32GB. It is equipped with 4TB of SSD storage as well. Another device in the series ins the ‘fully customisable’ 15-inch Dell Precision 3530 mobile workstation. It is equipped with 8th Gen Intel Core and next-generation Xeon processors, memory speeds up to 2666MHz and Nvidia Quadro P600 professional graphics. It also comes with a 92WHr battery, and ports including HDMI 2.0, Thunderbolt, and VGA. 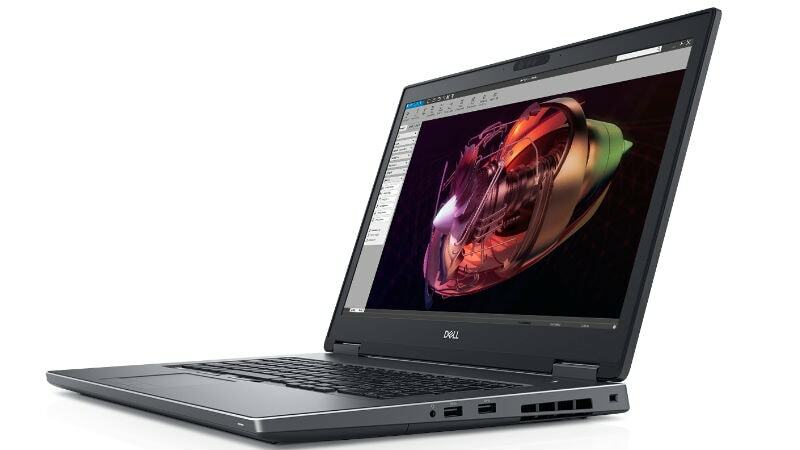 The Dell Precision 3530, Precision 5530, Precision 7530, and Precision 7730 will be available on Dell’s website on May 22 starting at $1,049 (roughly Rs. 70,000), $1,459 (roughly Rs. 97,400), $1,119 (roughly Rs. 74,700), and $1,519 (roughly Rs. 1,01,400). Meanwhile, pricing and availability for the Dell Precision 5530 2-in-1 is expected to be unveiled soon. 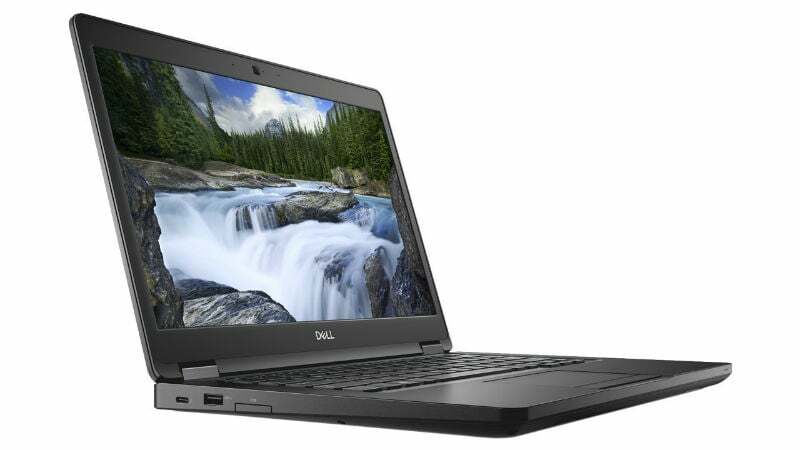 Dell also announced new premium business laptops under its Latitude brand today, including the Latitude 5491 and the Latitude 5591. Both the devices are powered by the Intel’s 8th-generation H-series (i5/i7) processors. They feature 2666MHz memory up to 32GB, Nvidia graphics, optional Thunderbolt 3 port, and a range of storage options from hard drives to PCIe solid-state storage. Dell promises a battery life up to 19 hours in these laptops. The Latitude 5491 sports a 14-inch display with either 1366×768 pixels or 1920×1080 pixels resolution, but the latter also available with a touch. The larger 5591 features a 15.6-inch display, and has the same resolution and touch options. Dell is also boasting security in its new Latitude laptops, with features such as Dell Client Command Suite, Dell Data Protection, a hardware authentication bundle, and more. The Dell Latitude 5491 and Latitude 5591 will be available globally on the company’s site on May 22 starting at $899 (roughly Rs. 60,000) and $999 (roughly Rs. 66,700). Dell also introduced a new family of OptiPlex all-in-ones (AIO) that come with up to 8th-generation Intel Core vPro processors, up to 32GB of RAM, and optional Intel Optane memory. The new lineup includes the OptiPlex 7760 AIO that sports a 27-inch InfinityEdge with optional glare-free 4K Ultra HD with HDR and High-Gamut sRGB or Full HD IPS with touch display and quad mic array with Waves Maxx technology. Meanwhile, the OptiPlex 7460 AIO offers a 23.8-inch InfinityEdge display with edge-to-edge Full HD IPS display technology and numerous port options. Also, the OptiPlex 5260 AIO features a 21.5-inch display with an optional 10-point multi-touch display for enhanced productivity. OptiPlex 7460, 7760 and 5260 All-In-Ones will also be available globally on the company’s site on May 22 starting at $1,069 (roughly Rs. 71,400), $1,229 (roughly Rs. 82,000), and $869 (roughly Rs. 58,000) respectively. The company has also released a new OptiPlex Tower micro desktops packed with 8th-generation Intel Core processors and up to 64GB of DDR4 memory. The OptiPlex 7060 and 5060 Tower feature several SSD and hard drive options, next-generation AMD or Nvidia graphics, and can power up to three monitors simultaneously. And, the OptiPlex 3060 Tower comes with up to 32GB DDR4 memory and many mounting options. Finally, the OptiPlex XE3 Tower, offering an OEM-ready design, has been engineered to meet the needs of industries including healthcare, retail, and manufacturing. The OptiPlex Towers and Small Form Factors will also be available globally on the company’s site on May 22 starting at $649 (roughly Rs. 43,300). Finally, coming to the P-series monitors, Dell has unveiled these new devices with thin panel profile, smaller base, USB Type-C option, and improved cable management. They come with an Easy Arrange feature in Dell Display Manager that enables users to multitask. These monitors sport three-sided ultra-thin bezel, which promises to deliver a “virtually seamless visual experience” when working across side-by-side monitors. They have a wide 178-degree viewing angle enabled by In-Plane Switching (IPS) technology. Also, the new Dell Dual Monitor Stand can fit up to two 27-inch monitors. The Dell P-Series monitors will be available globally on June 25 starting at $229.99 (roughly Rs. 15,400) and USB-C versions will be available globally on July 23 starting at $279.99 (roughly Rs. 18,700). 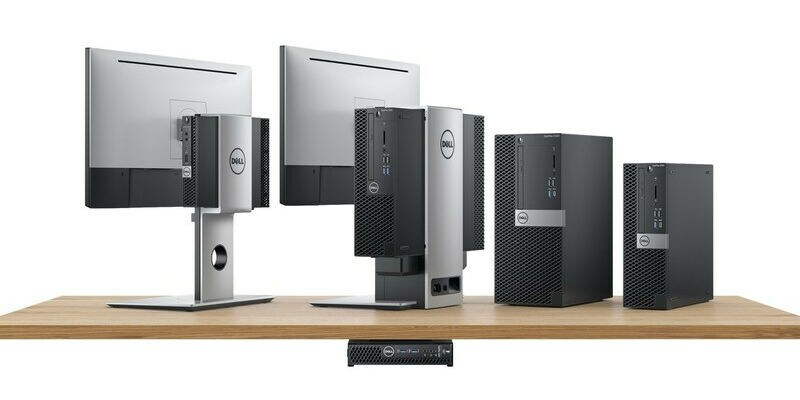 And, the Dell Dual Monitor Stand will be available globally on June 19 at $189.99 (roughly Rs. 12,700).